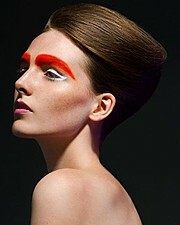 Freelance Makeup Artist, based in Melbourne, available for beauty/fashion/editorial work. Rasha always provides a professional and friendly service, taking clients in flawless application, attention to detail, and distinctive individual creativity. Specializing in the use of Kryolan cosmetics, M.A.C, Inglot, Napolean, Paintbox she offers a fully mobile makeup service to all areas of Melbourne. She is an experienced makeup ar.. Diploma qualified freelance makeup artist specialising in Beauty and Glamour Makeup for Fashion, Editorial, Corporate & Special Occasions including SPFX and Airbrushing. I am currently based in Melbourne with availabilities in Wangaratta and close surrounding areas. Melbourne Henna offers you the unique new generation mehendi art in our mehndi design service, combining elegance and sophistication, adding the magical touches for that very special occasion. 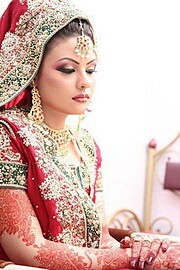 We also offer bridal service for wedding including stylish dress drapping and bridal makeup in Melbourne. We have successfully showcased our work..